Nearest underground station is Monument, about 5 minutes walk away. At this station there is a pedestrian connection to Bank underground and DLR stations. Tower Hill and Tower Gateway DLR stations are slightly further away. Bus Routes 15 and N15, pass the main entrance. Fenchurch Street and Cannon Street Stations are less than 10 minutes walk away. The Guild Church of St. Margaret Pattens, Rood Lane, Eastcheap, London EC3M 1HS. 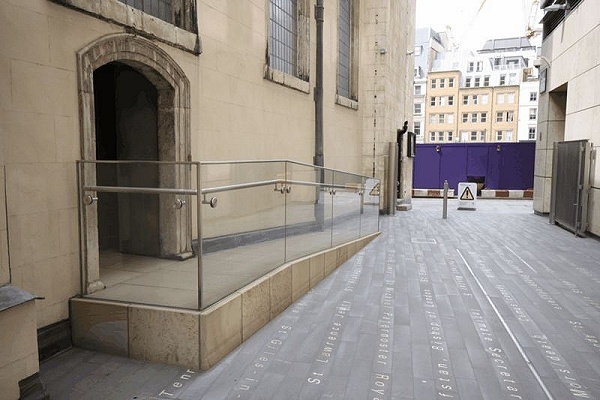 There is disabled access ramp to the Church via Plantation Lane which runs from the lower end of Rood Lane along the north wall of the Church.